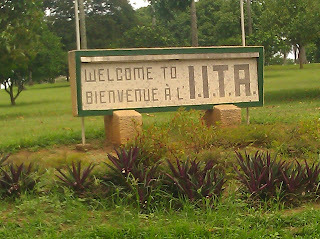 The International Institute of Tropical Agriculture (IITA) - Lets take a Tour !!! Sorry for the late response. To do your IT in IITA, it'll be easier if you have a contact there but if not, you can visit the IITA Reception and tell them what you came for then drop your IT letter with them. You'll be contacted if there is space for you in any appropriate unit.